My children, educated at home under their own direction, see themselves in Tom, the Russell Hoban character who likes to fool around with sticks and stones and crumpled bits of paper, bent nails, glass and holes in fences. Tom’s maiden aunt, Miss Fidget Wonkham-Strong, who wears an iron hat, believes that too much playing is bad for him, he had better stop it and do something useful, learn off pages from the Nautical Almanac, eat his cabbage-and-potato sog. The minister, Ed Balls, would suit an iron hat. His Children, Schools and Families Bill proposes control and surveillance so authoritarian it would eradicate our right and reason to home educate. If that were true, there’d be no Bill. Existing legislation provides for children to be safe and learning. Anyone who has been watching this government’s serial encroachments upon liberty will find the road to Ed’s Law depressingly familiar. It started with a Scary Threat. Baroness Delyth Morgan, an unelected minister, touted fears that home education might serve as cover for forced marriage, sexual exploitation and domestic servitude. Then came an ‘independent review’ by local authority apparatchik Graham Badman who, failing to find any evidence of forced marriage, exploitation or servitude, proffered Scary Threat Two: ‘safeguarding concerns’. 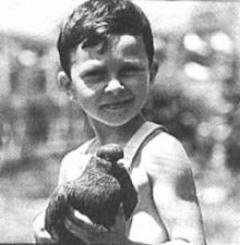 But Freedom of Information requests submitted by home-educating parents to dozens of local authorities unearthed evidence that home-educated children were at reduced risk of abuse and neglect. Despite the delusional character of Scary Threat One and the audible hollowness of Scary Threat Two, independent Mr Badman delivered the government’s required authoritarian response. In passing, he haughtily dismissed home-educators’ opinions as, ‘a heady mixture of pent up rage, frustration, resentment and a rejection of third party judgement’. Under Ed’s Bill, now in committee, we would have to apply to the state for permission to educate our children at home. We would be compelled to submit annual advance plans with specified educational ‘outcomes’, the Local Authority empowered to judge whether they were ‘suitable’ and being achieved. Failure to comply or achieve would bring a School Attendance Order. The local authority inspector could interview our children at home without their parents’ presence. If we object, such objection might serve as grounds for revoking our permission to home-educate. We spent a long time thinking seriously before deciding to let our children fool around. We chose home education expressly to spare them from the government’s outcome-based educational model whose virtues are, to put it kindly, unproven. We provide books, drawing materials, tools (sharp ones), musical instruments, cooking ingredients, the garden, freedom to play with their friends for hours on end. The children have discovered, with delight and not much grownup interference, that multiplication helps them make three times as many muffins, that geometry helps their shelters to stay up sometimes. They enjoy lessons in music, dance, drama and sport, but mostly they fool around hard and happily under their own direction at what Miss Fidget-Wonkham Strong would dismiss as ‘playing’. Far from dictating the children’s destination, we love to see how their imagination carries them. They light up our days with surprises. Ed’s Law doesn’t just threaten my children’s freedom to fool around with rafts that sink and rockets that fly in their dreams. It strangles educational diversity and strikes fear into the hearts of parents such as Ruth Gray, a home-educating mother of twins with Asperger’s. ‘We’d get a School Attendance Order straight away,’ says Ruth. ‘B says he can't read because he can't read everything. He can read Harry Potter but to him that isn't good enough, so his answer to “Can you read?” would be “No.” ‘He rarely shows me what he can do, so no way would he show a stranger, no matter how well trained they were. B would cry if pushed and D would shout. Do you see where this would lead? It is scary.’ It is altogether scary. Not just our educational provision, but our parenting would be subject to scrutiny by the state. In striking contrast to the general state of acquiescence that has met this government’s serial theft of liberty (under the guise of safeguarding us from exaggerated scary threats), home educating families are mobilising and resisting. There have been petitions, rigorously researched representations to Parliament, demonstrations, a mass lobby and, all over the country, ‘Not Back to School Picnics’. To stop Tom’s fooling around, Miss Fidget Wonkham-Strong calls in a seven-foot man with freshly pressed trousers, immaculate blazer, shoes polished mirror-bright. Captain Najork, with his team of hired sportsmen, ‘teaches fooling-around boys the lesson they so badly need, and it is not one that they soon forget’. 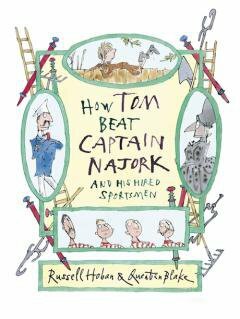 Russell Hoban, How Tom Beat Captain Najork and His Team of Hired Sportsmen, illustrated by Quentin Blake, first published by Random House, 1974.